What and where is the LAB? The LAB is Dublin City Council’s Arts Office, a dynamic hub of activity housing a gallery, rehearsal and incubation space for a range of art forms. 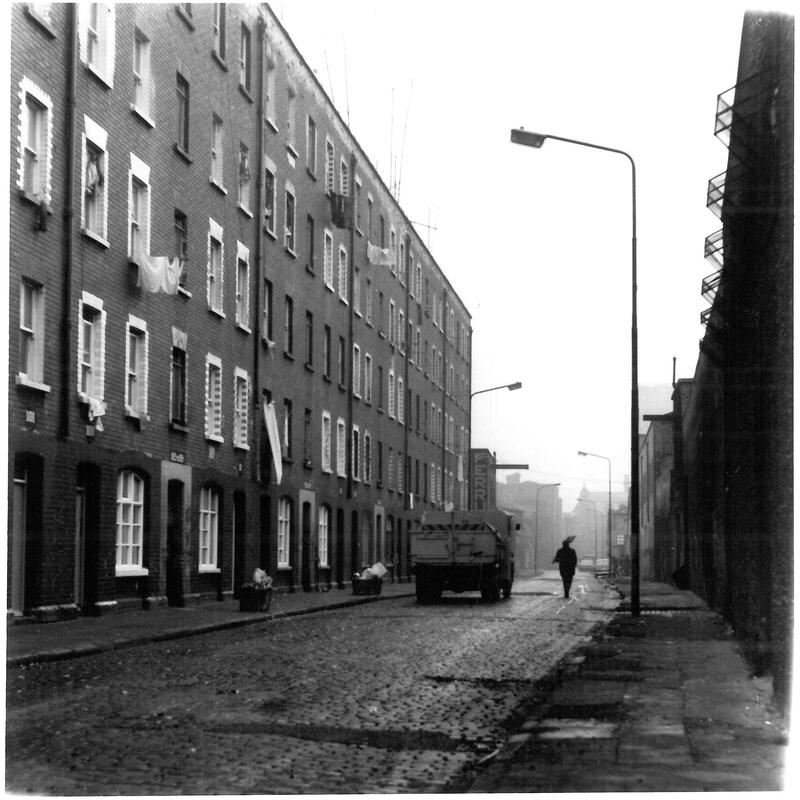 It’s on Foley Street just off Talbot Street. 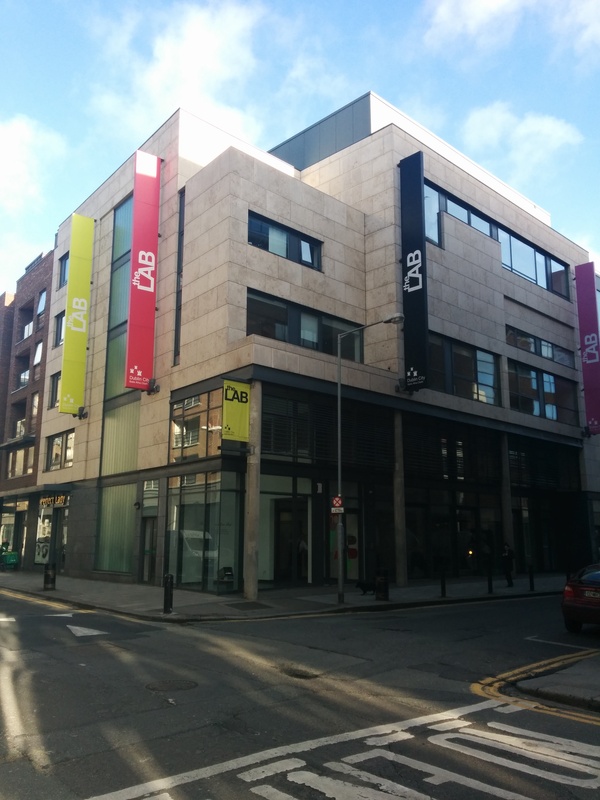 It’s very near Busaras and Connolly Station, in the heart of a really historic part of the city once known as ‘the Monto’, a cultural pocket with neighbours including Oonagh Young Gallery, Dance House, Talbot Gallery & Studios and creative pop up spaces Units 3 & 4. The Arts Office is based here and we run a range of programmes, provide advice, funding and support to artists and communities across the city. The building itself is full of flexible spaces that take on different energies depending on who is in them. Last week we had an international symposium on performance with speakers from New York and Sweden occasionally interrupted by singing children at their contemporary dance class in the room next door. Meanwhile, downstairs, we had some actors doing a read through next door to opera rehearsals. There’s also an MA from iadt for artists, curators and critics. So while the gallery is showing work that’s at a stage ready to invite in the public, artists across all art forms are busy honing their craft upstairs. In the LAB Gallery, we support emerging artists, often providing them with their first solo show. We also focus on fresh ways to develop engaged audiences for the visual arts; we have a programme of events, talks and workshops with every show. What is your role and how did you get there? I’m an arts officer and curator with Dublin City Council. I studied History of Art and French and subsequently Arts Administration & Culture Policy at UCD. 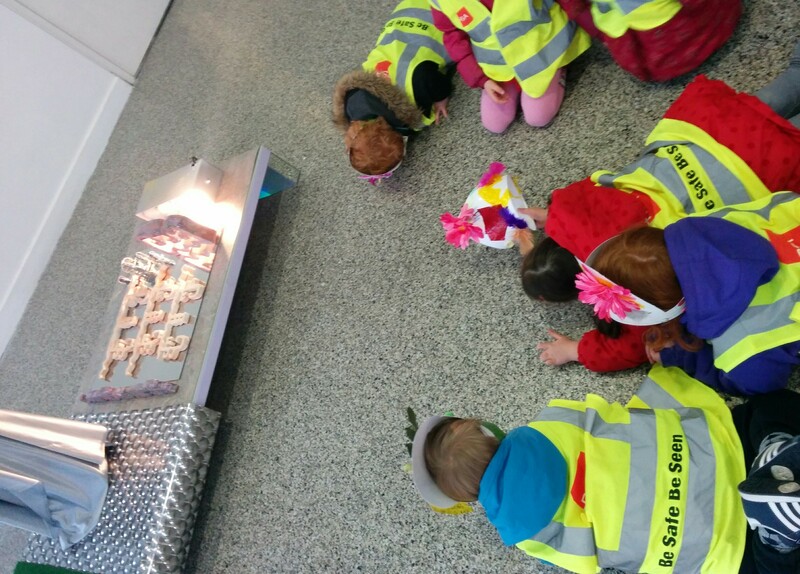 I previously worked as Project Manager for Breaking Ground, Ballymun Regeneration’s art commissioning programme. I have also worked at the National Museum of Ireland and the National Gallery of Ireland, Temple Bar Gallery & Studios, Artworking Consulting and at the Peggy Guggenheim Collection, Venice. I joined Dublin City Council’s Arts Office 8 years ago just after the LAB was built. At the LAB I curate the gallery’s exhibition and events programme. What makes The LAB special? What makes the LAB special is our relationship with artists and audiences. We work really hard to support artists through the process of making work but we don’t think it stops once the show opens. We want to get people talking about art, but also about the issue the art raises. We actively encourage artists to work with people from other disciplines, like architects or engineers – or nine-year-olds. We love when artists are interested in the world around them and we can introduce to them to other interesting people and they have those moments of understanding, or share ideas and knowledge. I also love quieter moments, like people’s responses to our current solo exhibition Ultra, by Barbara Knezevic and I really enjoyed the talk she gave on the opening night. 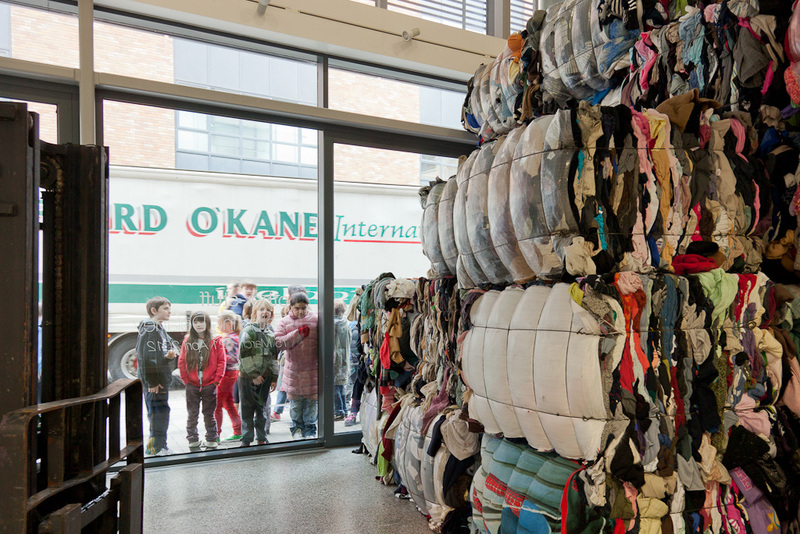 I find artistic processes very interesting, and I sometimes find those conversations become even more interesting when they are discussed with others, like when Geraldine O’Reilly will be talking to poet John F. Deane (DWF: Wed 21st May @6pm). It allows for the unexpected, and the audiences tend to be very involved in sharing their own interests and responses. 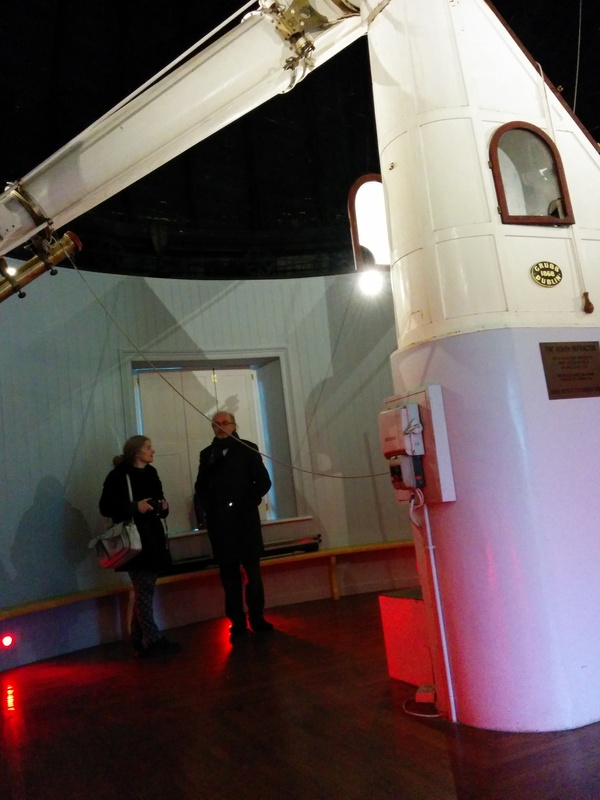 Can you talk about The LAB’s setting, and how it interacts with its neighbours? 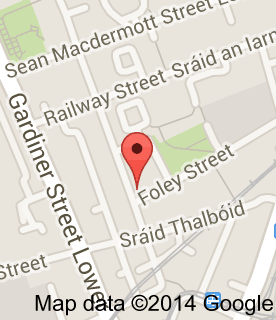 The LAB is on Foley Street. It’s a really urban space, surrounded by new office and apartment blocks. 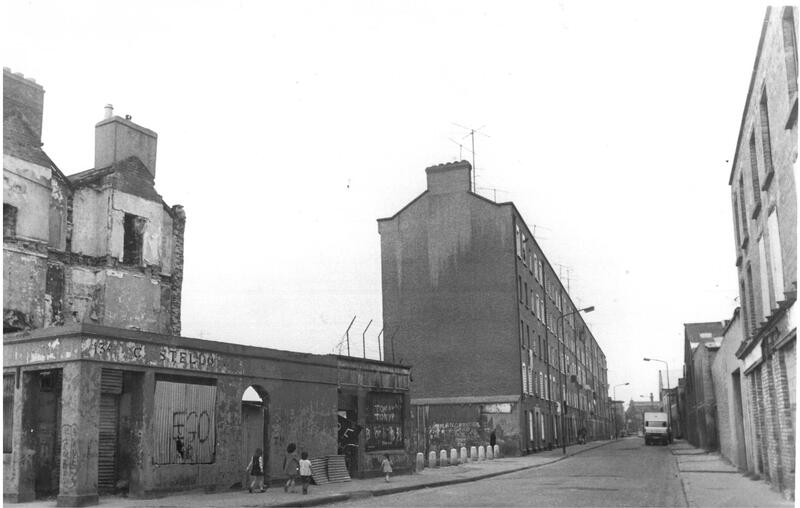 It’s also a really historic part of the city with families who’ve lived here for generations who remember when this street had tenements, sewing factories and the infamous Monto. It is an area deeply imbedded in the history of the Lockout in 1913, the Easter Rising and the War of Independence. I think the historic nature of the place can really add great potency to politically charged exhibitions. You really feel the weight of history. A few years ago we had an exhibition of live performance curated by Amanda Coogan called Labour showing work by ten Irish female performance artists. It was a very intense experience to be involved in and I think has to be one of my highlights. The work had toured from London and Derry but in a sense the issues raised seemed so at home in this context. It was very poignant. Lot of things! Mostly what I listen to on the radio in the mornings. I think there are so many incredibly interesting people in this country and we don’t hear their stories enough. What I love about this work is the moments when people come together and experience really great projects, where artists took huge risks, might have failed, but still did it and put themselves out there. What makes me cranky is not being able to support more of it, take more chances, and find ways to shout about it a bit louder so more people can choose to get involved. If The LAB wasn’t here what might be here in it’s place? I wonder about that. Sometimes I wonder if one of the best things for the people who walk down this street is that it feels a bit safer, or there’s something curious to look at. It has always been an issue for me that the office blocks across the street keep their shutters down, even though people are working inside. Surely the streetscape deserves better. I think there’d still be a need a for place like this, but I love that it’s here. We’re just off the bustling thoroughfare of Talbot Street, tucked away in a place that’s quiet enough to look at the work, but alive enough to make you question how it fits in with the rest of our lives. That’s pretty special. 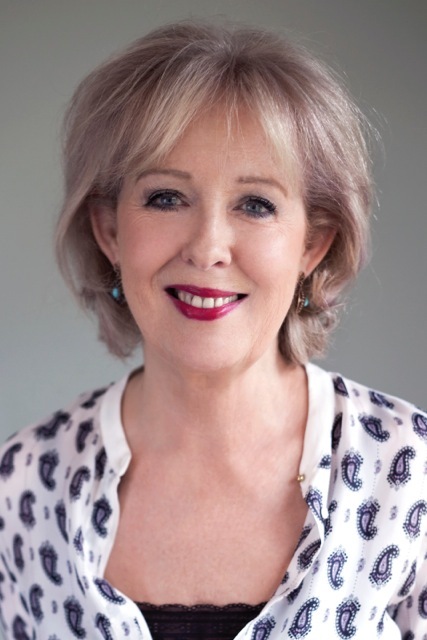 There are lots of events for children in this year’s Dublin Writers Festival. There’s Chris Judge’s Storybird for the 6+ age group, Derek Landy talking about Skulduggery Pleasant and Laura Dockrill’s Darcy Burdock event for the over 8s. Irish children’s author, Erika McGann was recently announced as this year’s winner of the Waverton Good Read Children’s Award. The winner of this award is chosen by young readers from local schools in Waverton, Cheshire and is awarded to a debut British or Irish author each year. Erika’s winning novel, The Demon Notebook tells the story of Grace and her four best friends who are failed witches but one night stumble upon real magical powers. The book has a great mix of magic and suspense, with a few scary moments thrown in. I interviewed Erika and asked her about her books, about writing and about other aspects of the writer’s life. Why witches? What attracted you to the realm of the supernatural and what do you think attracts your readers? Witchcraft was the big thing when I was in school, and I still love the mix of fun and darkness about it. I think young readers always have a love for the supernatural because of all the possibilities. The rules are dictated by the author – they can differ from book to book – but there’s so much scope. Characters that feel timid or weak can become powerful with the introduction of magic, and that’s something that appealed to me as a kid. There are two books in the series already published (The Demon Notebook and The Broken Spell) and a third, The Watching Wood, on it’s way. Are there many more in the series? Do you know yet what will happen to the girls or where the series will end? I haven’t started a fourth yet, I’ll see how number three goes! But there is a complete story in each book so, wherever I finish, there won’t be any cliff-hangers left hanging. What’s the hardest thing about writing? And the most enjoyable thing? The hardest thing is the discipline. I admire those writers that can maintain a very strict routine, writing for hours a day. It’s something I try to emulate, but keeping too rigidly to a schedule makes me rebel a bit. Finding the right balance between a steady workflow and giving yourself time to think through ideas is a frustrating thing that I’m nowhere near mastering. Give me five or ten years. Or twenty. As for the most enjoyable part of writing; it’s the writing. When you’re in the zone, and typing away without much effort, it’s brilliant. And you get all smug and self-satisfied when you finish a big chunk of pages you’re really happy with. You do a lot of readings in schools and events like the Dublin Book Festival and World Book Day. How does it feel meeting your readers? I love doing book events. I think I say it every time I’m asked but, when my first book came out, the thought of speaking to a big group of kids for an hour sounded like a particular kind of hell. I was terrified I’d be heckled and laughed out of libraries with tears in my eyes. In reality, kids make a fantastic audience. Keeping their attention is not difficult when it comes to talking about books and writing; they’re dying to hear (and talk) about developing characters, building a story and designing book covers. And hearing kids talk about your characters like they know them is pure joy. What piece of advice would you give someone who wants to be a writer? What do you wish someone had told you starting out? The best advice I could give would be to write what you enjoy. It’s like any job that way; the more you enjoy it, the better you’ll do it. My brother’s an author, so there wasn’t much I didn’t know about the business before I started. But it would have helped if someone had advised me loosen up when writing. Before I took it up a few years ago, I hadn’t written any kind of story since school. Being new to the idea of a novel, I think I was a bit too careful and didn’t let go when I felt like it. You can always fix things after the first draft, so I’d tell any budding writer now not to hold back. Go mad, if you want to, and sort the mess out later. Who are your favourite writers? YA or otherwise. Still loving The Hunger Games, so Suzanne Collins is a favourite. Each film makes the series feel brand new…sigh. And I’ll always love Roald Dahl. I think his books are imprinted on the DNA of several generations, and that’s how things should be. And most importantly, when’s the new book out? September! It seems like it’s ages away, but I’ve got the U.S. edition of my first book coming out next month to tide me over. The Demon Notebook and The Broken Spell are both available from O’Brien Press. Is there more than one meaning in the title, Where They Lie? I suspect there is. I found the novel difficult to name for quite a long time, but one day my daughter and I did a brain-storm at the kitchen table, tossing titles around on bits of paper for quite some time before settling on this one. It seemed right. It refers to a place in which the bodies of the two men may lie, and also to a place in which truth is hard-won. What drew you to the subject of the Disappeared? What (and where) is Axis? 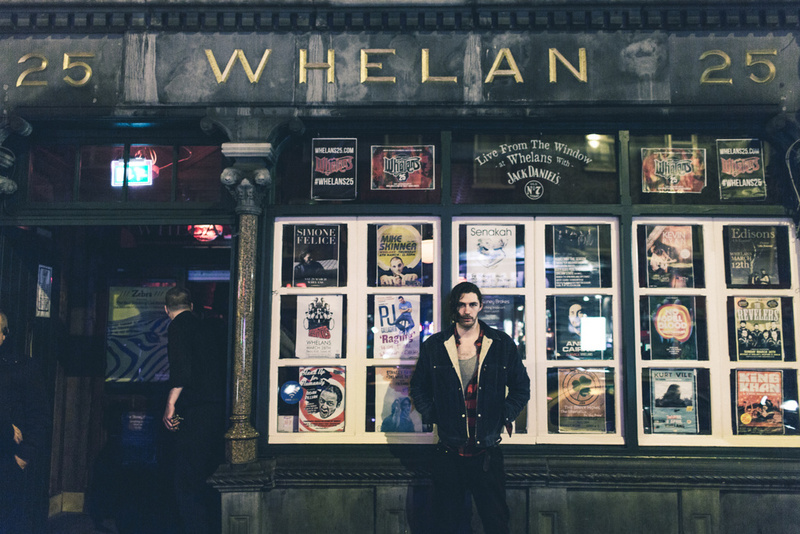 What (and where) is Whelan’s? What happens there? Whelan’s is a pub/live music venue celebrating 25 years of putting on the best of local and international musical talent up close and personal. We are open seven days a week and have concerts on in both venues most nights. 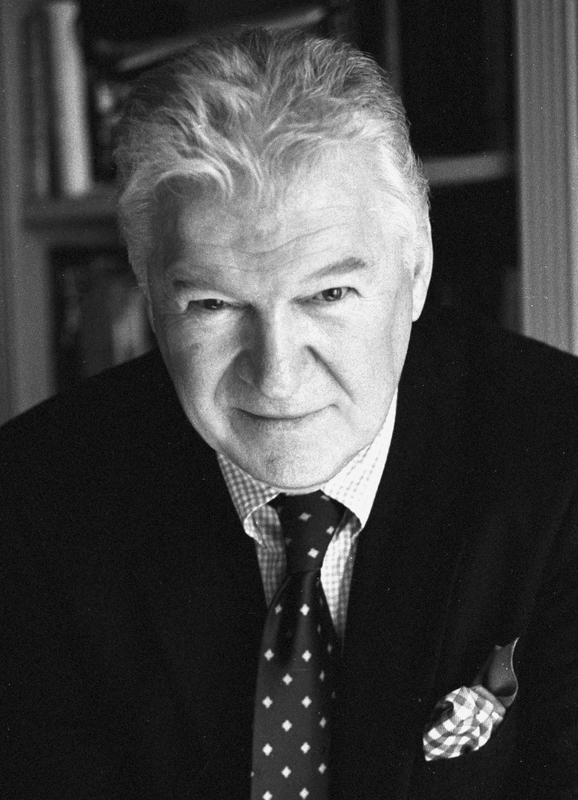 Described by NPR as “the most eloquent man in the world,” writer and broadcaster Frank Delaney has interviewed more than 3500 of the world’s most important writers over three decades, but it’s now his turn to be interviewed by Lynne Nolan for the Dublin Writers Festival. 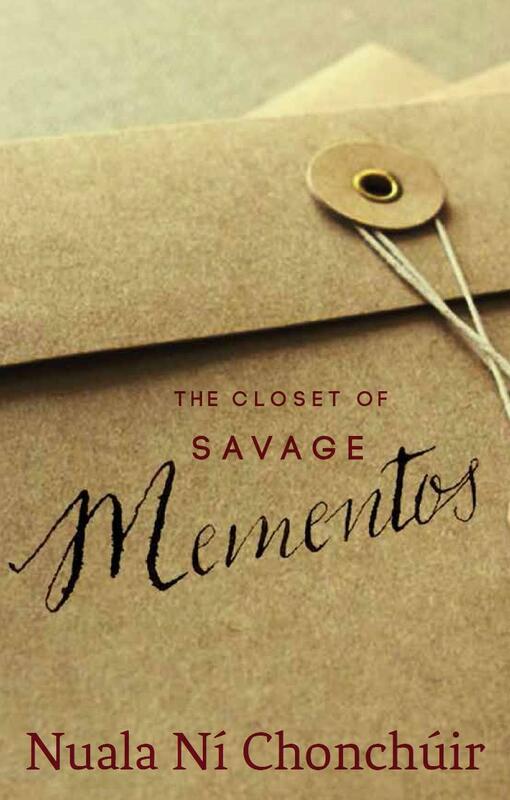 Nuala Ní Chonchúir has a new novel: The Closet of Savage Mementos. There’s an early buzz about this novel and her next, Miss Emily, already signed with Penguin in the US. Nuala took time out from preparations for her launch to answer a few questions put to her by Lia Mills.